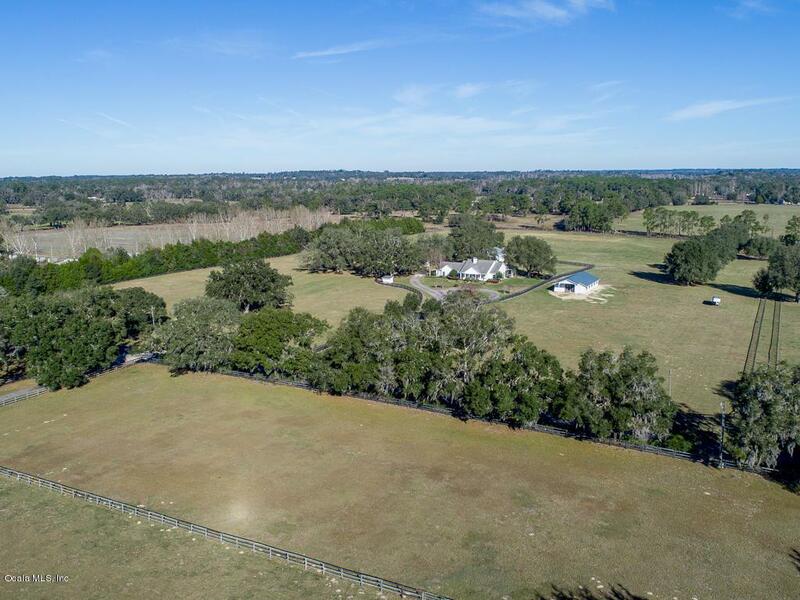 Superior location just one mile from the World Equestrian Center (WEC). 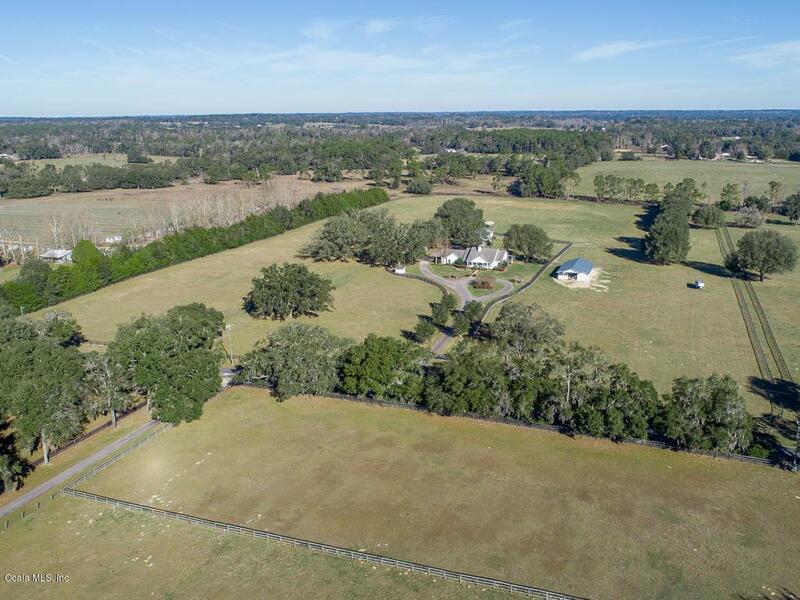 This is a must see 23 acre horse property with a 7 horse barn, tack room, feed room and additional building with garage and one bedroom apartment. 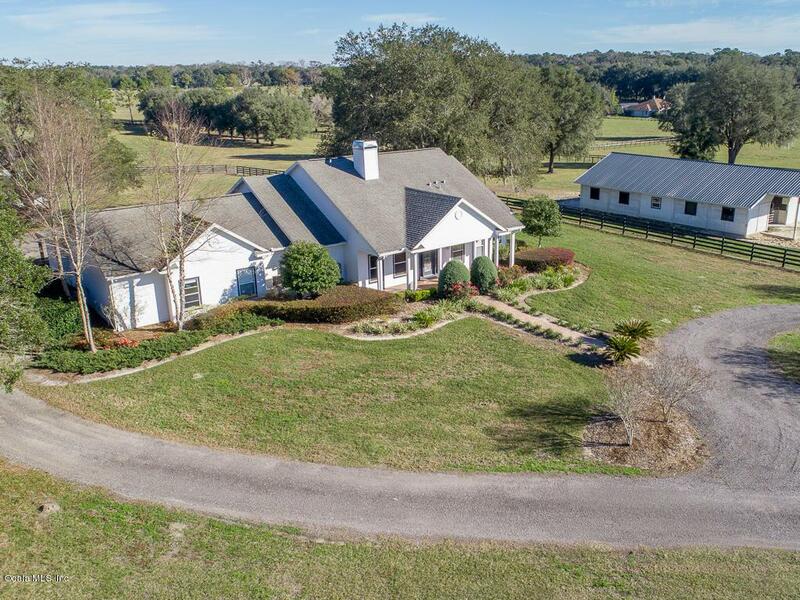 The Triple Crown 4 bedroom custom home has a desirable split plan with screen enclosed pool and spacious open living space sitting up high on the property with beautiful views of the rolling hills and pasture. Four board and wire fencing surrounds the property. 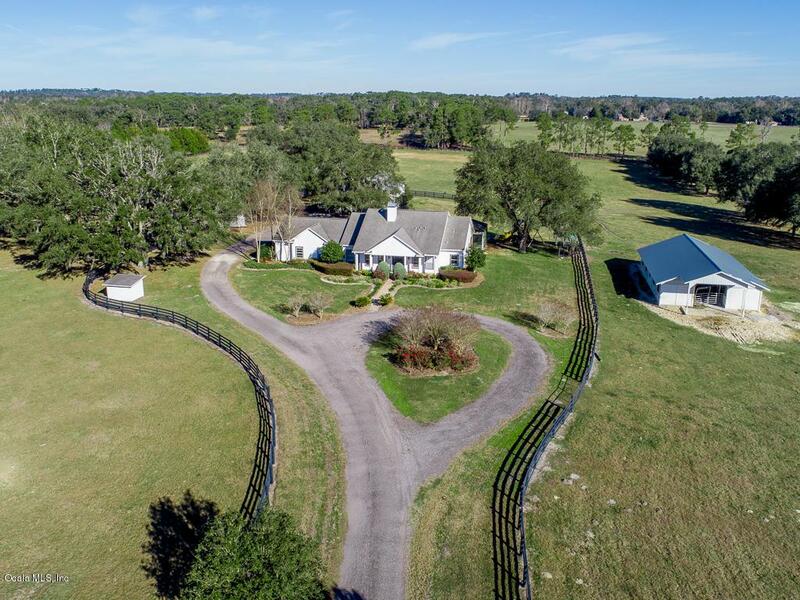 This is the perfect opportunity for any discipline to be this close to WEC and just minutes from Golden Ocala Golf & Equestrian Club.